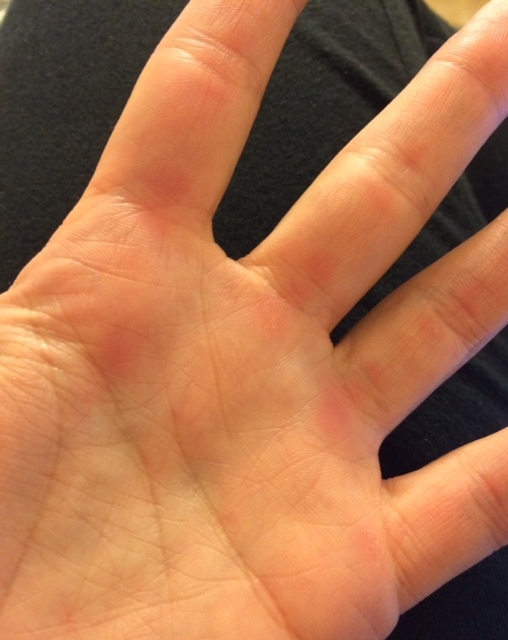 The spot right underneath my fingers on my upper palm. It hurts like someone took sandpaper to it. What a horrible feeling. It’s red and I know why. 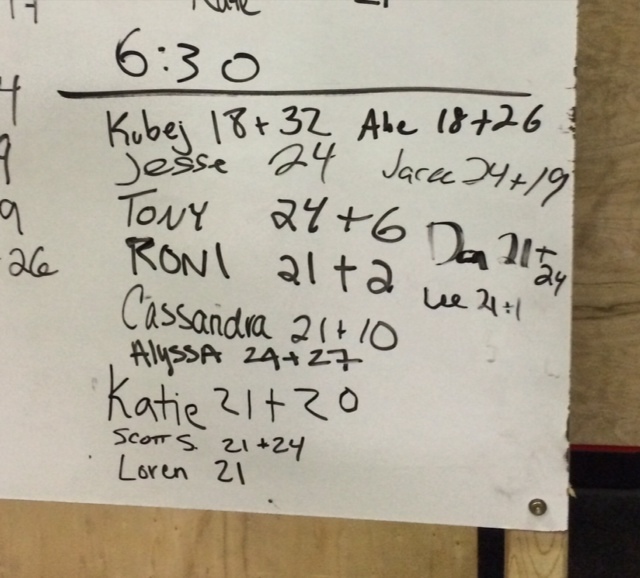 I was having a hard time today with the power clean at crossfit. First off, this is my intro to the power clean. Secondly, I wanted to get it right, so I over thought it so much that I couldn’t do it correctly. I was muscling the 45 pounds up to my chest instead of letting the motion do the work for me. Next time, next time. I do have to give my friend Alyssa a shout out. I would have parked my behind on the couch all night if she hasn’t asked if I was going tonight. Because, honestly, I wasn’t going to go. But then I thought about it. Why couldn’t I go? I didn’t have work tonight, I wasn’t too sore from yesterday, and I really, really, really knew deep down that Andy and I were not going to get up for the crack of dawn class tomorrow morning. Sorry, hun. I’m being honest. And I’m glad I went. Tonight was so much better than yesterday. The class was half the size of yesterday and I paired up with another newbie (Cassandra), who was a great partner in crime. Hope we have a class together soon! We’ll kill those power cleans next time! But my favorite part was the WOD (workout of the day). We had to jump over (or step over in my case) a box, and do ab situps with weight (10 lbs for me). We started with 3 box jumpovers and 3 abs… then 6 box jumpovers and 6 abs… then 9 box jumpovers and 9 abs.. etc. Going up by 3 each time. And we had 10 minutes to get as many as possible. Use 20 min to build to a 3RM power clean. – Build slowly and rest as necessary. Utilize the entire clock time.